Charlie Chaplin was an English comic actor, filmmaker, and composer who rose to fame in the silent era. He is mostly famous for his screen persona "the tramp". Born on April 16, 1889 in London, Chaplin is considered one of the most important figures in the history of the film industry. He had been a productive and creative film maker for about 75 years before he died in 1977. 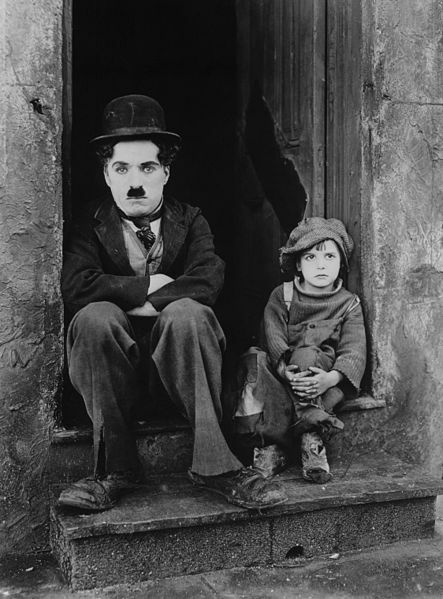 Chaplin suffered from poverty and hardship in his childhood. He was sent to a workhouse twice before the age of nine. His mother struggled financially when his father was absent. When he was 14, his mother was sent to a mental asylum. Chaplin's first performances were at music halls as a stage actor and comedian at the age of 19. He went to the USA where he was scouted for the film industry, and began appearing in 1914 for Keystone Studios. He soon developed the Tramp persona and formed a large fan base. Chaplin directed his own films from an early stage, and continued to hone his craft.. By 1918, he was one of the best known figures in the film industry. Chaplin wrote, directed, produced, edited, starred in, and composed the music for most of his films. He was a perfectionist, and his financial independence enabled him to spend years on the development and production of a picture. Later his films became more political by producing , The Great Dictator (1940) where he satirized Adolf Hitler. The 1940s were a decade marked with controversy for Chaplin, and his popularity declined rapidly. He was accused of communist sympathies, while his involvement in a paternity suit and marriages to much younger women caused scandal. An FBI investigation was opened, and Chaplin was forced to leave the United States and settle in Switzerland. Charlie Chaplin abandoned the Tramp in his later films, which include Monsieur Verdoux (1947), Limelight (1952), A King in New York (1957), and A Countess from Hong Kong (1967). "the incalculable effect he has had in making motion pictures the art form of this century". Charlie Chaplin had a happy childhood. Chaplin started his career in England. Chaplin left the USA to live in Switzerland because he was ill.
Chaplin died at the age of 88.